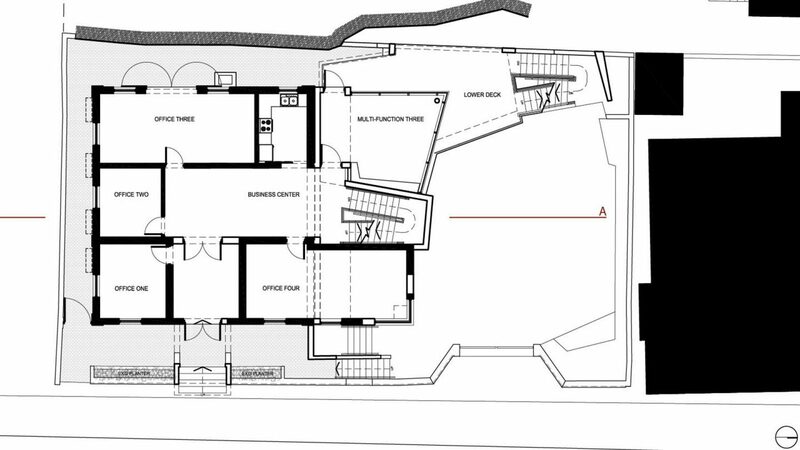 The client sought to build an incubator for a small business through the conversion of the existing cottage and an addition of meeting spaces with extensive outdoor seating areas. The site is in a historic and residential area of Bermuda’s city. 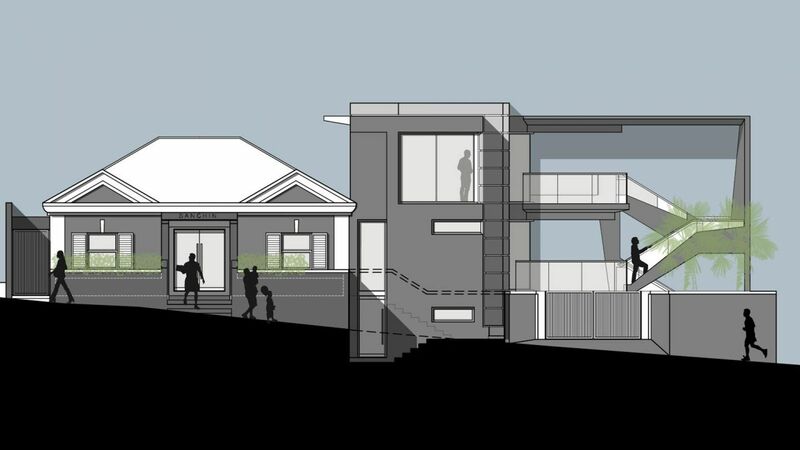 A contemporary architectural addition is proposed side by side with the existing structure. 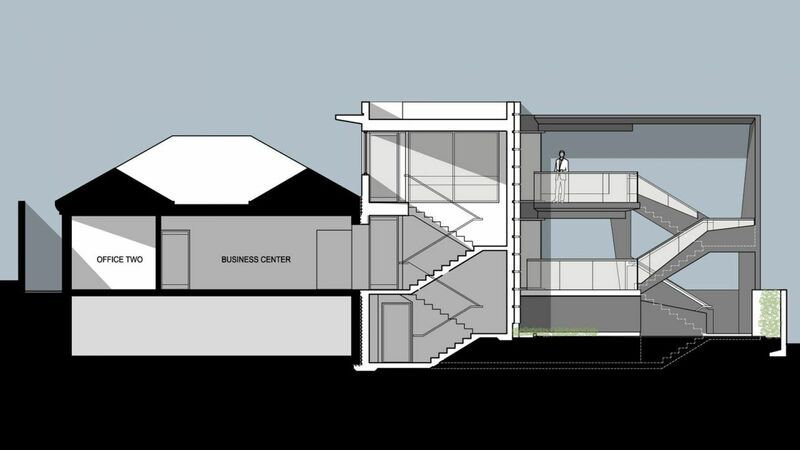 The new work is proposed in glass and aluminum to contrast with traditional stucco on masonry. The intent is for the Architecture to communicate the spirit of the project as a beacon of creative thought looking positively on the present and future.